This year, October will bring yet another reason to celebrate all things spooky and macabre — the first International Edgar Allan Poe Festival and Awards. The free, two-day outdoor festival will take place in Baltimore on the 169th anniversary of the famous writer’s death, Oct. 6 and 7. It will go from 11 a.m. to 5 p.m. Saturday and 4 p.m. Sunday. It will feature Poe-themed performances and art, vendors and food and aims to celebrate Poe’s influence on the arts. 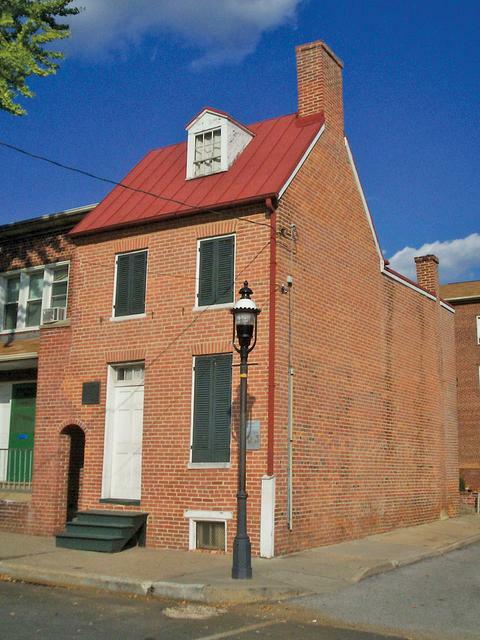 Poe Baltimore, a local nonprofit that funds and operates the Edgar Allan Poe House and Museum just north of Hollins Market, and real estate company La Cite Development LLC will host the event. The Edgar Allan Poe House and Museum in West Baltimore. La Cite’s new Center West development located near the Poe House at 203 N. Amity St. will be the site of the new festival. Proceeds from the event will go to the Poe House and Museum and Poe Baltimore. Poe was a writer and poet best known for his stories of death, darkness, grave robbing and the like. “The Tell-Tale Heart” and “The Raven” — the source for Baltimore’s NFL team name and mascot — are two of his better known works. While he was born in Boston in 1809, Poe spent a good portion of his life in Baltimore with his family and died here. The second portion of the two-day festival will include the Saturday Visiter Awards, which seeks to honor Poe’s legacy in the arts and literature. Awards will be given to art, performance and writing that is inspired by or adapts Poe’s life or works. Its name, the Saturday Visiter Awards, is derived from a prize Poe won while he lived in Baltimore, which helped to launch his career. © 2019 La Cité Development.